More than 32.5 million people received one or more preventive service at no cost, helping them find and treat health problems early. This is a tremendous asset to everyone with health insurance, but is of particular need to those on a fixed income with Medicare. Preventive care being covered at no cost is something that should have happened for years and just makes sense. In 2011, 3.6 million people with Medicare received a 50% discount on brand-name prescription drugs, when they reached the Part D donut hole. That’s a savings of about $600 per person. 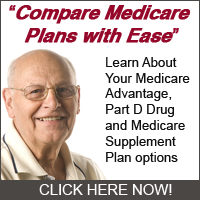 Everyone could use and extra $600 and Medicare is helping this to happen with prescription drug savings. People are experiencing good results from the Affordable Care Act on Medicare and this is good news for everyone on both sides.